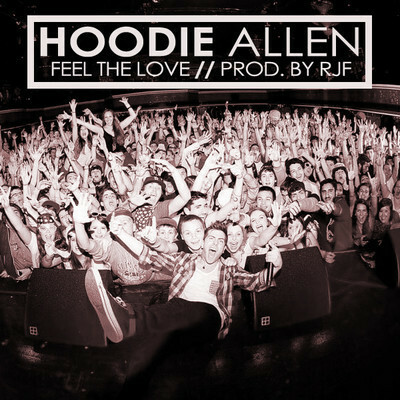 As most of you know I rarely post hip - hop songs on The Vinyl Wall, but when I do it's Hoodie Allen. 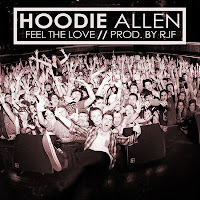 New songs from Hoodie give me that heart swelling feeling of excitement and 'Feel the Love' did not disappoint (when does Hoodie ever?). The song is basically a testament to how fortunate he is to be making a living creating music for the masses. His flow is crisp, his lyrics are meaningful and RJF's sweeping production gives the song a loving vibe.